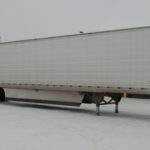 Folding Beaver Tail Trailer - Hydraulic - Kingpin Trailers LTD. 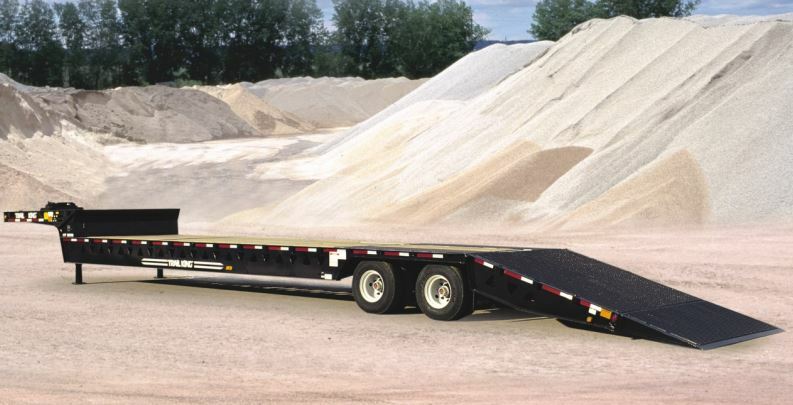 Trail King is the leading manufacturer of materials hauling trailers for the asphalt paving, construction, agriculture and rental company industries. Trail King’s Hydraulic Trail(HT) trailers have become the ‘go to’ choice for professionals looking for dependable load-hauling strength, durability and versatility. The HST features a low load angle, greater payload capacity and stability, and smoother precise operation. The Trail King standard front access panel offers easy access for connecting hydraulic, air and electrical lines. The panel may be opened for internal maintenance or repair simply by loosening four bolts. A protective panel on the underside of the gooseneck shields the hydraulic valving from road grime and debris, resulting in reduced maintenance and longer life. Rubber grommets are used wherever wiring runs through the frame in order to eliminate wear, reduce maintenance and repair, and deliver dependable electrical component performance. Standard H-bar assembly allows the load to be carried on the tail in the transport position and without putting weight on the hydraulic cylinders. The result… more deck space available without compromising a safe, stable haul. Trail King I-beams are constructed of one-piece web and flange material and welded on all four sides to seal and protect the seams from rust. The result is an I-beam that is not only stronger… but one that is stronger longer. Haul your tools as well as your load… thanks to two covered tool boxes in the top deck that come as standard equipment. To prevent cracking and provide extra strength, the gooseneck is reinforced with a half-moon gusset and a brace that runs the full depth of the beam. The hydraulic system features steel lines under the deck, and JIC fittings and 0-ring seals at connection points for dependable, leak-free performance. 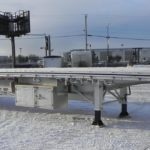 The tail features a heavy-duty hinge that runs the whole width of the deck for the rugged, durable, trouble-free operation necessary to handle heavy loads and continuous usage. An 8′ hydraulic recessed ramp to the upper deck is standard. A special locking mechanism (see inset) ensures that the upper deck ramp stays in place during loading, even if the hydraulics should fail. Even “dead” equipment can be loaded with ease with the standard 12,000-lb. winch with level wind (mounted above the king pin). Winch guard and 65′ cable with locking safety hook are also standard. Crossmembers are primed and topcoated with two-component polyurethane primer and topcoat before decking is installed. So the entire trailer has protection from the elements — even in places you can’t see. Two outside I-beams provide the extra strength necessary to prevent “peeling off” the edge of the ramp during loading. The six formed beams in between provide solid support across the whole width of the approach plate.